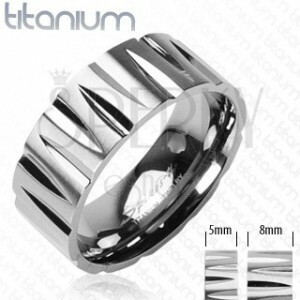 A titanium band with cuts in the shape of bullet. By buying this product you can collect up to 8 points as a voucher of $2.16. Your reward points. 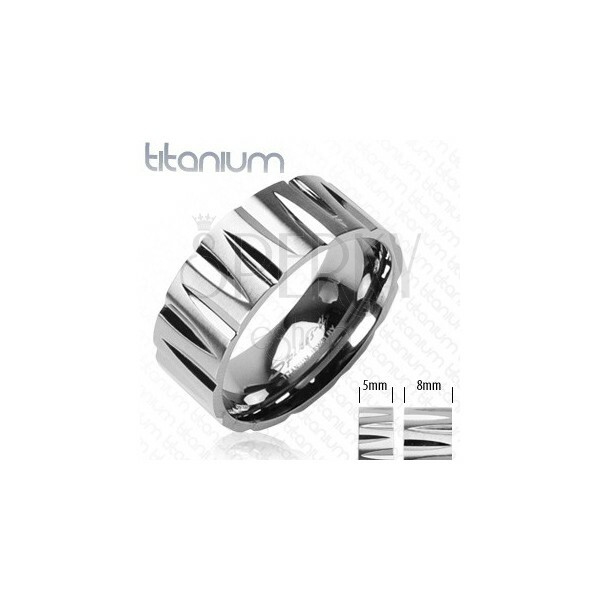 A band made of titanium is decorated with bullet-shaped cuts.